Anti allergen Prespray is hypoallergenic and designed for safe use around individuals who suffer from allergies, asthma, or chemical sensitivities. 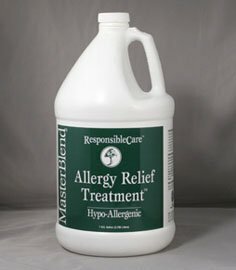 Use it as a pre-spray when cleaning carpet, upholstery, or mattresses and prior to an application of Allergy Relief Treatment. Environmentally safe Anti-Allergen PreSpray does not contain pesticides, perfumes, harmful solvents, or other hazardous ingredients. Derived from renewable plant source surfactants. 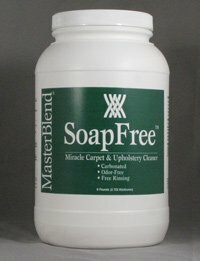 It is non-toxic to humans, animals, and plants. Formulated to meet or exceed all established standards of wool fiber producers and fifth generation stain-resistant manufacturers. Anti Allergen Deodorizer is a non-fragrance oxidizing deodorizer and does not contain perfumes, solvents, or pesticides. This product reacts with the odor by oxidizing and converting malodors into odor-free compounds, going straight to the source of the odor. 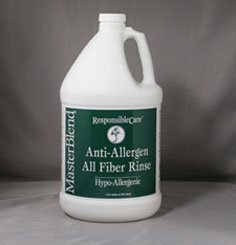 For use on all types of odors and fibers. 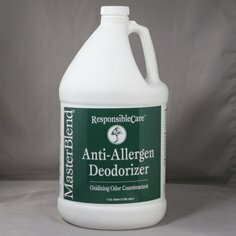 Anti-Allergen Deodorizer is formulated for residential use. Allergy Relief Treatment is an effective and safe way to control dust mite allergens and is an aqueous solution that contains active ingredients derived from naturally occurring extracts found in certain fruit seeds and plants. It works by instantly deactivating the DER pI in house dust mite droppings by de-naturing and substantially reducing the IgE antibody-binding capacity of this allergen. 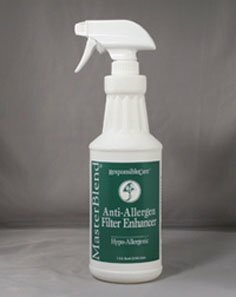 Anti Allergen Filter Enhancer is a non-toxic, hypoallergenic treatment for HVAC filters that helps trap and hold harmful proteins like cat and dog dander and dust mite droppings in the filter. It improves the efficiency of the filter without decreasing the airflow through the system, thus improving the quality of indoor air. Filter Enhancer is a ready to use product. We all know that accidents happen. Don’t worry Courteous Carpet Care offers a wide variety of cleaning and repair services.Our residue free carpet cleaning will leave your home or office fresh and clean.All carpet stretching and repairs are backed with a one year warranty.Emergency Water Extraction is offered 24 hours a day.Our technicians are properly trained to remove even the toughest stains and Pet odors.We also clean tile and grout by hand scrubbing grout lines and applying steam.